Zinklar is the Agile Market Research platform that is changing the way companies make decisions, by bringing the voice of consumers at its heart. It’s the only platform that enables marketing departments to conduct top-quality research in 3 steps and get results in less than 3 hours, with the same data quality at a fraction of the cost of conventional research. +100 leading companies from all verticals, including Unilever and Orange, choose Zinklar to optimize their business strategies. 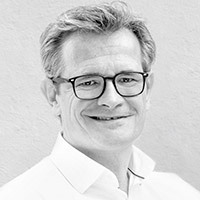 The current Co-Founder and Chairman of Zinklar was the Founder and former CEO of Conzoom and Magma Growth, former Global Managing Director of TNS Digital, Global Head of Strategy and M&A at Kantar TNS, and board member of WPP Digital. Economist, MBA from IESE and executive program at London Business School. Jordi’s vast experience in market research means he is the defining force behind our strict adherence to rigorous research methods and lack of compromise in favour of efficiency or fastness. His well-developed network and understanding of the market research industry has been the key in positioning Zinklar.